As the trespassers sipped their well-aged brew, they spread the sediment out on the agar plates. With any luck, it would still contain a few living cells of a wild yeast that had disappeared some two decades earlier. Andreas Bogk. Photo by Hendrik Haase. Like a lot of people, I first heard about Andreas Bogk through his crowdfunding project a year or so ago, coming across a link to a German-language Kickstarter-style site that boldly described his plan to “save” Berliner Weisse. One of the rare German sour beer styles, Berliner Weisse had just about gone extinct in its hometown, falling from 20 producers in 1920 to just one regular commercial example today. The last holdout, Berliner Kindl Weisse, is currently owned by the Oetker food conglomerate. To say that Kindl has lost a lot of character since its prime is fairly vague, but you get a better sense of what that means when you consider that Oetker is most famous as a producer of frozen pizzas. Andreas left off the part about frozen pizzas on the online description of his crowdfunding project. He did note, however, that the celebrated beer from his hometown had been turned into a typical industrial product without much flavor, despite a celebrated history. In Europe, the term “Berliner Weisse” is limited by law to brews that are made in Berlin, much like “Champagne” is limited to a specific kind of sparkling wine from Champagne in France, though there are plenty of beers called Berliner Weisse coming out of craft breweries in the U.S. Andreas didn’t mention that many of the American versions had strayed far beyond the beer’s historic parameters: Traditionally, it’s a low-gravity wheat brew, usually containing less than 3% alcohol, which is fermented with regular brewer’s yeast, Saccharomyces, as well as Lactobacillus, the kind of bacteria that is used to make yogurt and other sour foods. In his fundraising pitch, Andreas had two chief complaints. One was that the brewers of Berliner Kindl Weisse were now doing the Saccharomyces and Lactobacillus fermentations separately, instead of the mixed fermentation they had used originally, with both microbes working together, reducing the beer’s complexity. And more importantly, no modern version of the beer contained the original Brettanomyces yeast strain that was native to Berlin, something that Andreas was convinced was essential to the taste of a true Berliner Weisse. This last part was a bit of a head-scratcher: Although Brett strains like bruxellensis and lambicus are celebrated components of many Belgian brews, the conventional wisdom had long said that wild yeast did not belong in Berliner Weisse, which was thought to be a simple sour wheat beer, without the fruitiness or funky notes that come from Brettanomyces. However, in 2008 Berlin’s VLB brewing institute had published a book which argued that the traditional aroma of Berliner Weisse was actually due to Brettanomyces. The problem was that this ostensibly wild yeast had not been included as an ingredient: The strain of Brettanomyces that created the correct aroma had appeared in Berliner Weisse naturally, simply by being present in the environment. For most kinds of beer and wine, Brettanomyces is considered a major spoilage agent, in part because it’s very hard to kill, often surviving for decades in equipment, barrels or bottles. Now that the traditional breweries of Berliner Weisse were gone, the only way for Andreas to get the original strain of Brettanomyces was to find an old sample of Berliner Weisse and see if anything was still alive inside. On his crowdfunding page, Andreas offered one bottle of his new Berliner Weisse to anyone who pledged more than 20 euros; larger pledges would get the backer a full case or even a complete batch of beer. 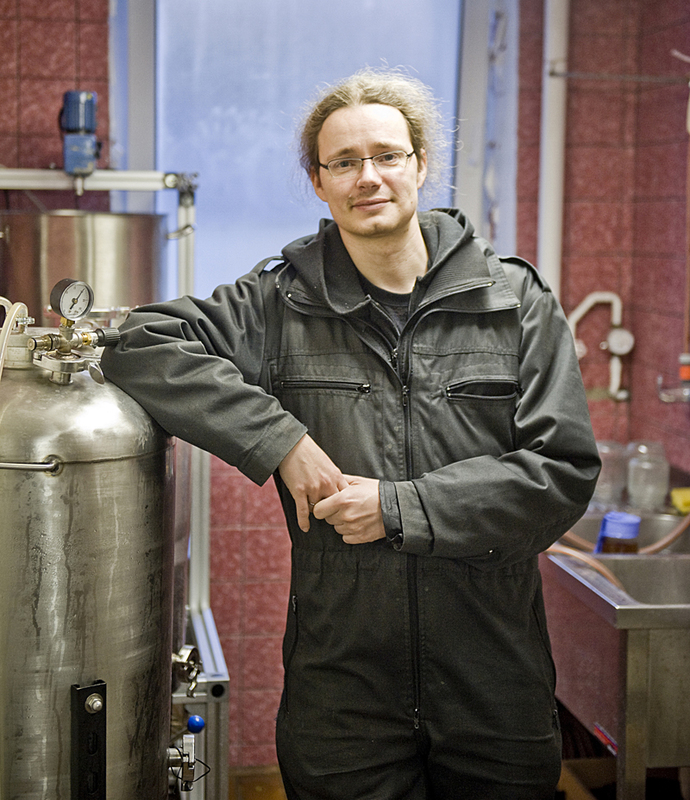 He needed the funding, he explained, to buy equipment and set up a small microbrewery, Bogk Bier. (One of Bogk Bier’s tag lines is that it’s “pronounced with a long O,” and in English the name roughly rhymes with “oak.”) Once he got his funding, Andreas promised to produce Berliner Weisse with a mixed fermentation, employing Saccharomyces and Lactobacillus together, as well as the original strain of Brettanomyces. His stated goal was a small brewery with a batch size of just 36 liters, or about nine-and-a-half gallons, and to do that he was trying to raise 3,000 euros in total, the equivalent of about $4,000. This story appears in the July issue of All About Beer Magazine. Click here for a free trial of our next issue. Evan Rail is the author of three Kindle Singles: Why We Fly: The Meaning of Travel in a Hyperconnected Age, In Praise of Hangovers and Why Beer Matters, a Kindle Singles bestseller. His writing on food and travel appears regularly in the New York Times. He lives in Prague. Thank you for that article, really nice to get a new perspective on a tasty beer style that deserves resurrection. I will visit Berlin in the next couple of days. Could you please give information on where can I find brewers/ale yeast in central Berlin? Does Washington Lack Hometown Spirit?